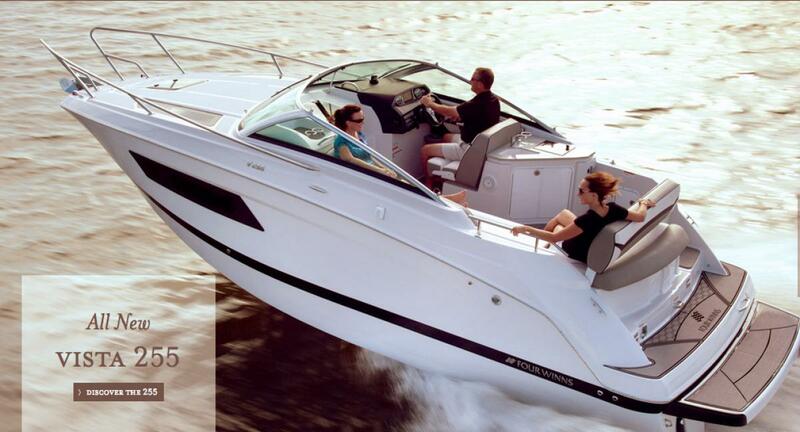 Check out the truly amazing, surprisingly spacious all-new Four Winns V255. This 25' express cruiser is well-equipped with a queen sized mid-cabin berth, spacious forward V-berth, four cockpit seating configurations, a stand-up head, a breakfast center, and an outdoor galley. This boat will be at Slip 831 on the H Docks of the Bahia Mar in Fort Lauderdale until Monday. See the Four Winns V255 product page to see what's up!